The mineral content of blood and the mineral content of the sea are almost identical! This makes vegetables which grow in the ocean a storehouse of minerals to nourish our bodies; in fact, sea vegetables surpass most other foods in their ability to deliver a diversity of nutrients. One of nature’s richest sources of vegetable protein, sea vegetables are a complete protein source (up to 38%). It is also one of the few vegetable sources of vitamin B12. Ounce for ounce sea vegetables are higher in vitamins and minerals than any other food group. In addition to vitamin B-12, sea vegetables are particularly high in vitamins A, C, E, B1, B2, and B6. This is very important today as our soil has been depleted of its nutrients and is almost void of trace minerals. They also contain a substance (ergesterol) that converts to vitamin D in the body. In addition to key nutrients, seaweeds provide us with carotene, chlorophyll, enzymes, and fiber. Sea Vegetables have a natural saltiness which comes from its balanced, chelated combination of sodium, potassium, calcium, phosphorus, magnesium, iron, and numerous mounts trace minerals found in the ocean. This richness of minerals brings a balancing, alkalizing effect on the blood. These valuable ocean vegetables have wonderful antibiotic properties that have shown to be effective against penicillin resistant bacteria. They will also assists the body to eliminate mucous. Rich in Iodine sea vegetables nourish the thyroid gland and are very useful to prevent goiter. As a result, it is found in many of the formulas designed to nourish this vital gland. 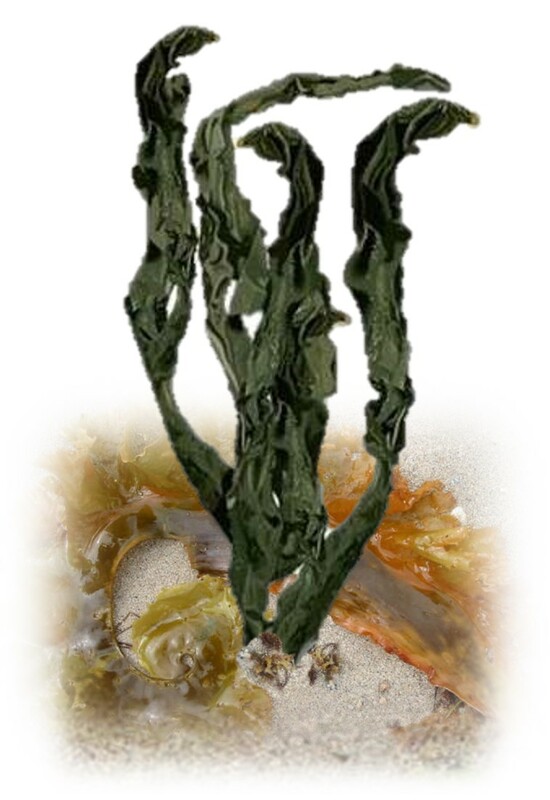 Sea vegetables (such as kelp and dulse) are also found in many formulas to strengthen hair, skin, and nails. Sea vegetables from the brown algae family (Kombu, wakame, arame, and hijiki) contain alginic acid, which binds with and expels radioactive substances and toxic heavy metals from the body. Sea plants do not generally absorb pollutants as fish do. Excellent for the cardiovascular system, benefits include: strengthens blood pressure, lowers cholesterol, builds healthy blood, restores cardiac efficiency, and prolongs the life of the heart muscle. Agar Agar is a natural gelatin derived from red seaweed. It has no taste or aroma and can be used to make jello, puddings, or vegetable aspics. It can also be used to replace eggs and other thickening agents in baking. It acts as a mild laxative, adding bulk without the calories. 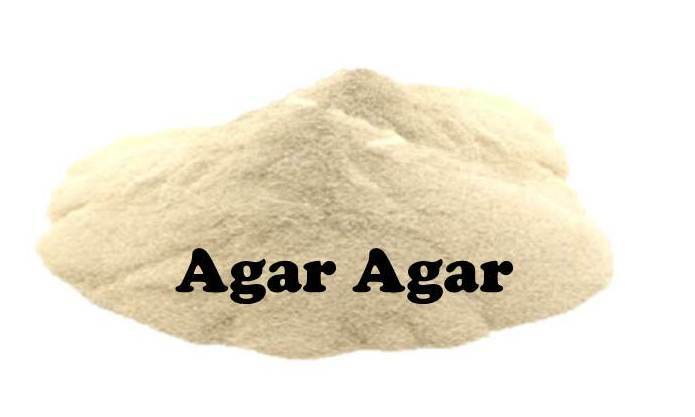 Agar Agar is a fine source of iodine, calcium, iron, phosphorus and vitamins. 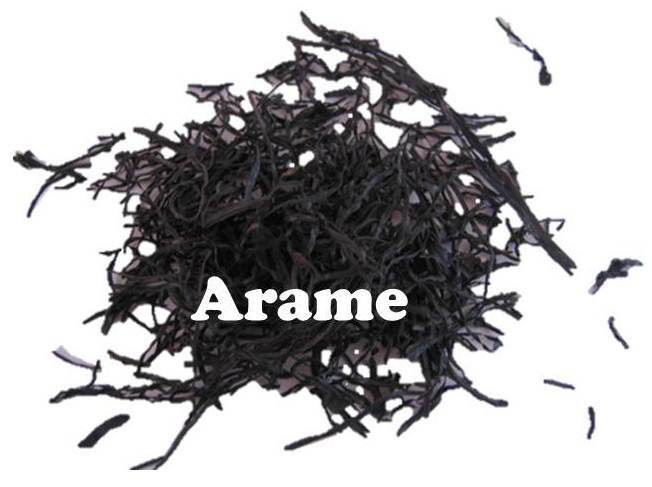 Arame is a smaller and more delicate strand which adds a sweet briny flavor to your soups and casseroles. Because of its delicate texture, it can be added to muffins, noodles, or pilaf. It is an excellent sea vegetable for those unfamiliar with the distinctive flavor of seaweeds. Arame is highly concentrated in iron, calcium and potassium, and is one of the richest sources of iodine. It is also a good source of protein. Along with kombu, kelp, and hijiki, arame is known for its ability to counteract high blood-pressure. 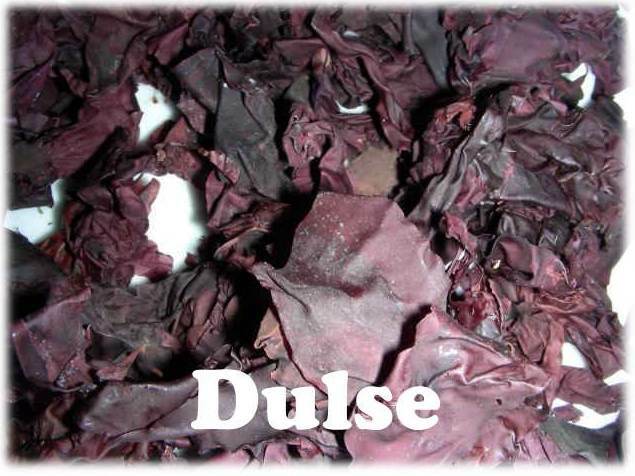 Dulse is a wonderful treat eaten right out of the bag and can be considered a delicious “sea jerky”. It is great in soups, stews, chowders, salads and sandwiches. Dulse does not require cooking, however, only takes 5 minutes to cook and the flavor will mellow. Dulse is approximately 22% protein. An ounce of this nutritious sea vegetable will provide more than 100% RDA of vitamin B6, iron and fluoride, as well as 66% RDA of vitamin B12. Dulse is relatively low in sodium, yet quite high in potassium, phosphorus, manganese, and iodine as well as vitamin A. Dulse is also a highly alkaline vegetable. Hijiki is a larger twig-like strand with a firm texture which adds a more robust flavor to your meals and side dishes. It sweetens considerably when cooked. 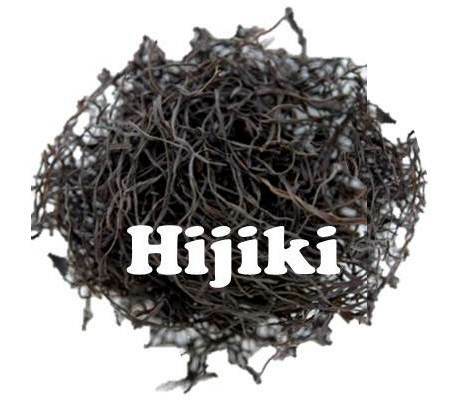 Hijiki, one of the richest seaweeds in minerals, is especially rich in calcium (gram for gram, about 14 times more than milk) and iron and it has an abundance of trace elements. It is also high in protein. Kombu (Kelp) has broad fronds which greatly expand when soaked. High in glutamic acid, it acts as a food tenderizer and flavor enhancer and can be added to beans to tenderize them. Kombu contains enzymes that help to break down the substance in beans that cause excessive gas and bloating, increasing digestibility. It also acts as an antidote to excess sodium consumption and has been used to reduce blood cholesterol and hypertension. 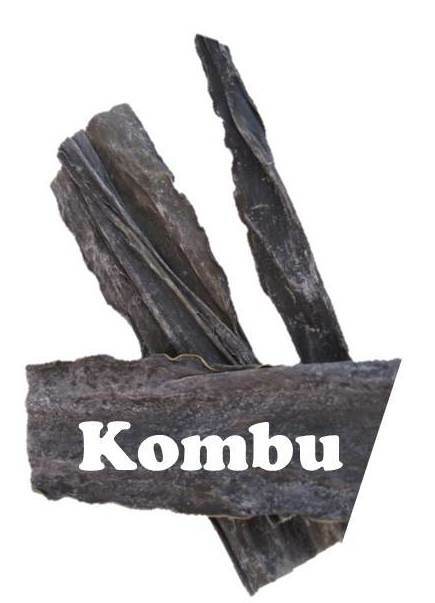 Kombu is high in iodine, potassium and calcium, as well as vitamins A and C. These thick sheets, while mellow in flavor, can be easily removed before serving for the more finicky eater. Nori, (known as Sea Lettuce, Green Laver) is a paper thin sheet of pressed seaweed. Nori has a mild, nutty, salty-sweet taste. It is makes delicious wrappings for hors d’oeuvre or wrappers for sushi. The flavor is best when toasted before using and it can be crumbled into soups, grains, salads, pasta, and popcorn. 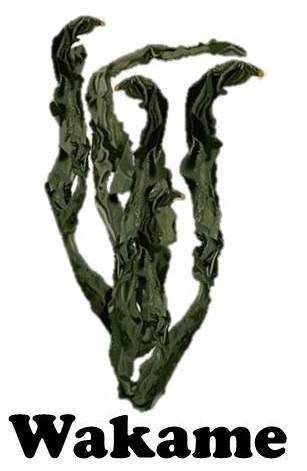 Sea lettuce, “green nori” that resembles lettuce, is excellent in soups, salads, and in rice and noodle dishes. 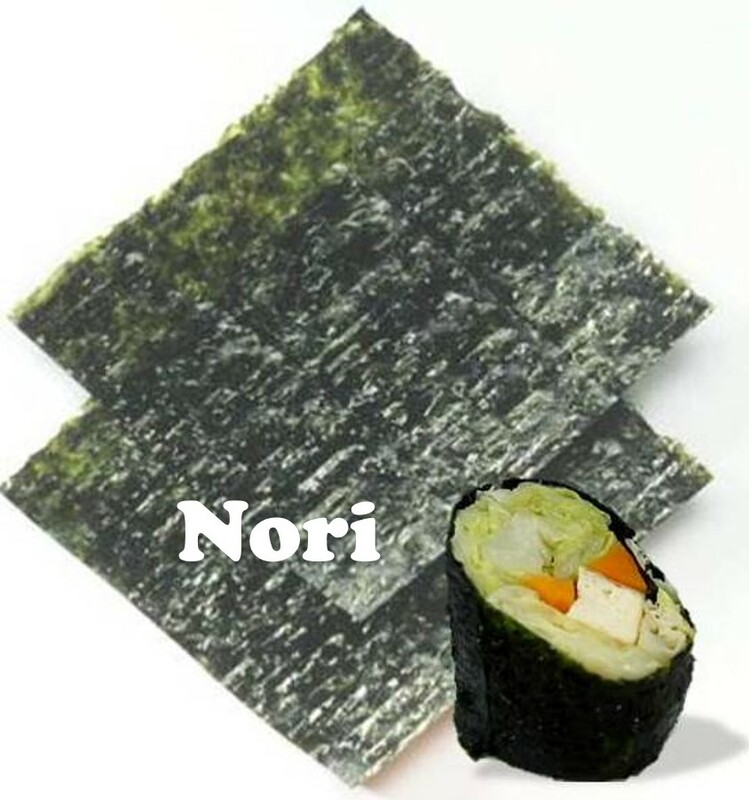 Nori is 28% protein, and is an excellent source of calcium, iron, manganese, fluoride, copper, and zinc. Of the sea vegetables, nori is one of the highest in vitamins B1, B2, B3, B6, B12 as well as vitamins A, C and E.
Wakame is the mildest of the seaweeds; a sweet-flavored and tender sea vegetable, it will soften in water in only 5-10 minutes and can then be used in green drinks or added to a green salad, soups, stews, and casseroles. This seaweed is traditionally used in Oriental medicine to purify the blood. It is beneficial for the reproductive organs and helps regulate women’s cycles. Wakame is especially rich in calcium and contains high levels of vitamins B and C.